Why was there a seemingly miraculous outcome to what could so easily have become an aviation disaster? And how did the captain and his crew remain so calm in such a stressful situation? The answer is leadership, teamwork and skill. 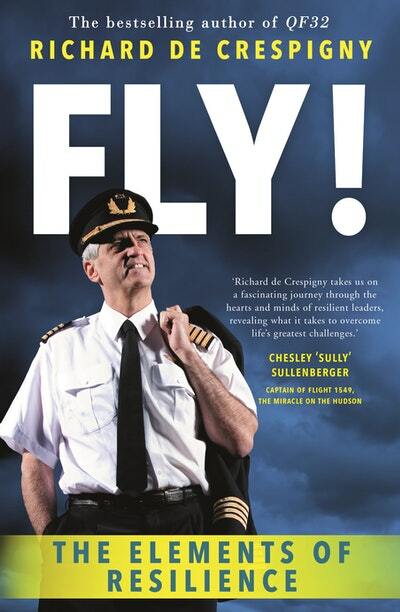 Join Captain Richard de Crespigny in this special conversation with ABC Radio’s Rhianna Patrick about his new book FLY! and hear him discuss insights and techniques he built up over decades in the high-pressure world of military and civilian aviation. Covering leadership, teamwork, risk-assessment, decision-making, crisis management, lifelong resilience and more, Richard and Rhianna will discuss how these techniques can be applied to challenges and opportunities in the workplace as well as to life. Tickets $35 or $30 for concession, plus $5.95 transaction fee. Book + ticket package available for $55 + BF.